Hi Stampers! Today I'm sharing the projects that we did at Yolie's house last weekend for her August Hostess Club. These were so much fun to make, I look forward to her club every month. =) Enjoy! Here is a picture of all three cards we made. The first card was so quick and easy! Just stamping and then coloring in with sponge daubers to give the card that popping color! So love the result. The trick for this card is that the flowers are stamped onto glossy cardstock instead of the regular cardstock. That allows the colors to pop and be more vibrant. The stamp set we used Flower Fest from the Idea Book & Catalog. This set is great because 5 out of the 8 images all coordinate with 5 of our punches, making it easy to punch out and use the images on your projects. I love when I can use a punch instead of cutting out by hand, don't you? 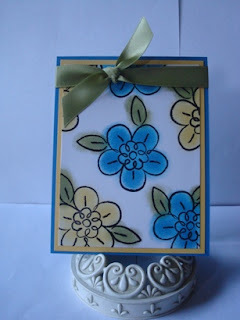 I fell in love with this tag and/or card holder as soon as I saw it! 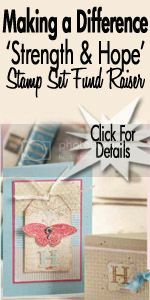 It was CASEd from Mary Fish of the Stampin' Pretty blog. It was another quick project and the result is so beautiful! 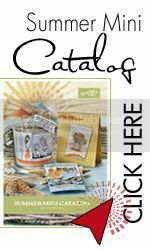 The stamp set and Designer Series Paper are originally from the Summer Mini Catalog, but they are also some of the items that made it in to the Idea Book & Catalog. So happy about that! Unfortunaely, the sentiment is from the Happy Greetings stamp set, also from the mini, but it did not make it into the catalog. :( So make sure you order it before Aug. 31 if you really NEED it! ;) The clothespins were easily decorated by simply gluing on some strips of DSP onto each one and then sanding around the edges. What a great idea! 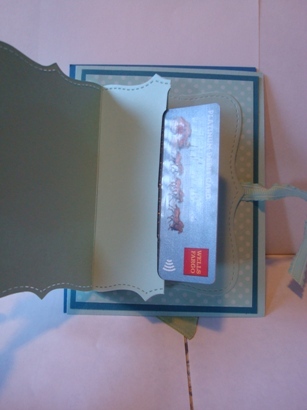 ...it opens up to reveal a gift card! How cool is that?! =D I loved this idea and how the Top Note Die was used to make this gift card holder. As with most of the projects, it was super quick and easy to make, but the result is stunning! The technique used to shade in the flower is called "Thumping" and it was so quick and I loved the end result as I'm sure you will too. And if you look closely, the brad is one of the NEW DSP brads that just came out. I LOVE these new brads, they are so pretty! The ribbon is also our NEW ruffled ribbon which of course, I LOVE! 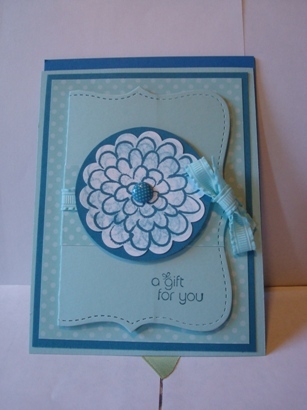 ;) This card was inspired by Dawn Griffith of Dawn's Stampin' Thoughts. FYI: I will be having a workshop in my home on Aug. 25 from 2-4pm. We will be making the projects shown above, with some variations in colors. If you would like to attend and are not on my mailing list, please contact me. 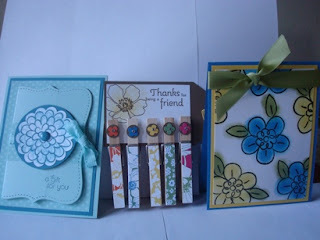 I hope you enjoyed viewing this cards today and that they have inspired to get some stamping done. 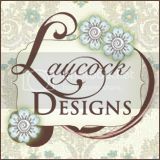 Have a great day and Happy Stampin'! 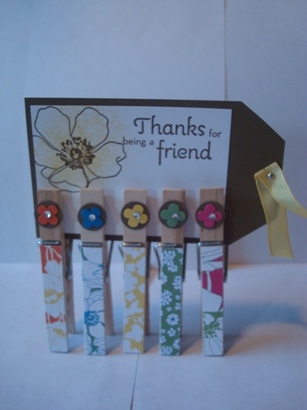 I love the card with the clothespins on it! So cute!